Your medical facility utilizes a vast array of resources to ensure the health and safety of your patients. Having amenities of the highest technological standards allows you the peace of mind that comes with the utmost care these machines provide. Medical gas hoses are no exception to this rule. Knowing the different hoses that permeate the market will give you a better understanding of the needs of your facility. As perhaps the most visible of gas tanks used in a hospital setting, medical air tanks play a key role in patient health, especially in emergency room operations. Quality medical air hoses provide some of your most vulnerable patients with reliable access to vital nutrients their bodies would otherwise be unable to inhale properly. Required in every medical setting, oxygen tanks are primarily used for resuscitation and patients with low blood oxygen levels. Additionally, oxygen tanks assist patients suffering from many conditions that make breathing difficult: COPD, cyanosis, shock, severe hemorrhage, cardiovascular and respiratory arrest, carbon monoxide poisoning and trauma. Used for mainly minor surgeries, carbon dioxide tanks can also be used before and after the application of anesthesia. 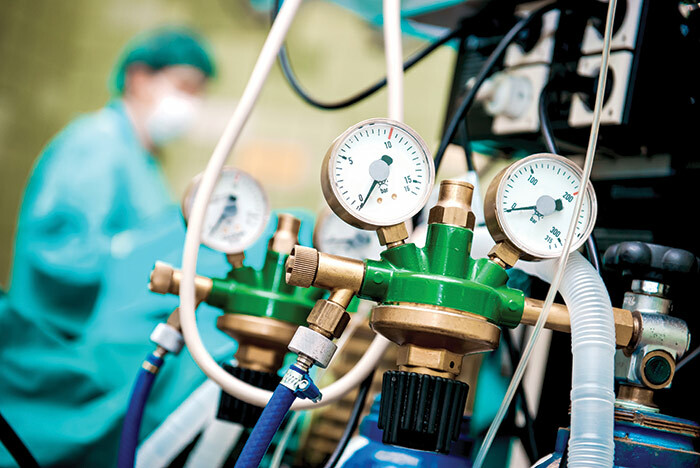 Ensuring that the hoses on each tank work properly provides your surgery teams with necessary peace of mind. Medical professionals utilize the exceptionally cold temperatures of medical liquid nitrogen to treat cancerous cells and store living organic material. This extreme cold can cause tubes to become brittle and break easily, so it is important to outfit your nitrogen bottles with high-quality hoses. Also known as laughing gas, nitrous oxide is used in dentist offices and some hospitals as an anesthetic, although not all patients can receive it. Of course, hoses exist for medical vacuum pumps and other custom situations. Thanks to the wonders of modern medicine, something as simple as gasses in the air can be concentrated enough to play a role in maintaining patient health. Maintaining every aspect of your equipment upholds the integrity of your facility while keeping your patients safe and at ease.